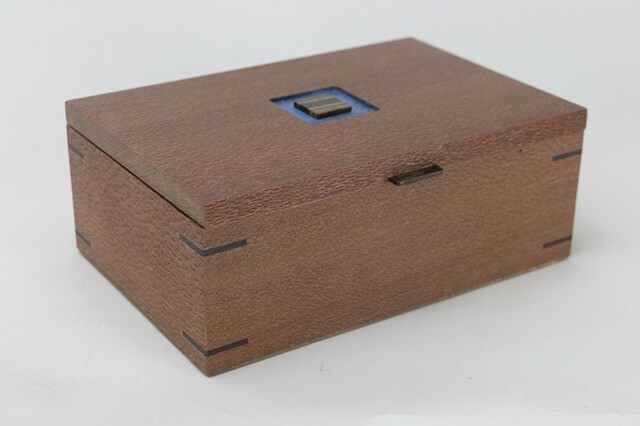 D 6.5" W 10" H 4"
This lacewood jewelry or keepsake box has a routed surface design on the top of the lid that is colored with blue milk paint. A tiger eye mineral specimen is included in the design. Trays can be added to this box for an additional $40.